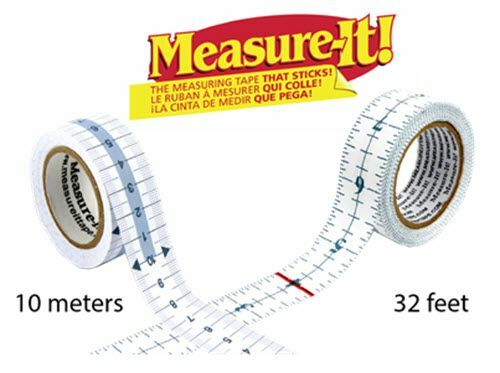 Adhesive Measuring Tape - Measure-It! can be used for almost any application where measurement is required. With no liner to remove, the tape can be put directly on almost any surface. The tape is low tack, which allows it to be repositioned several times and won't leave a mark when peeled off. Measure-It! can be marked with a pen, pencil or marker, torn off where needed, and the product is recyclable. 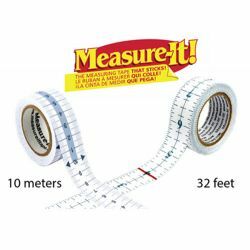 Metric (cm) or Imperial (inch) measures, each come in one roll of 10 meters or 32 feet.